Our Porsche 991 turbo exhaust is a masterpiece of engineering, we are truly proud to be able to offer it to all of you lucky 991 owners. These Porsche flat-six’s are already amazing, with variable geometry turbos along with many other great features from the factory. It is a true performance racing engine, however the factory exhaust is very restrictive, killing all chances of true performance, and muting the sound of this engine to simply undesirable levels. This is an Twin turbo Porsche, and it should sound like it. 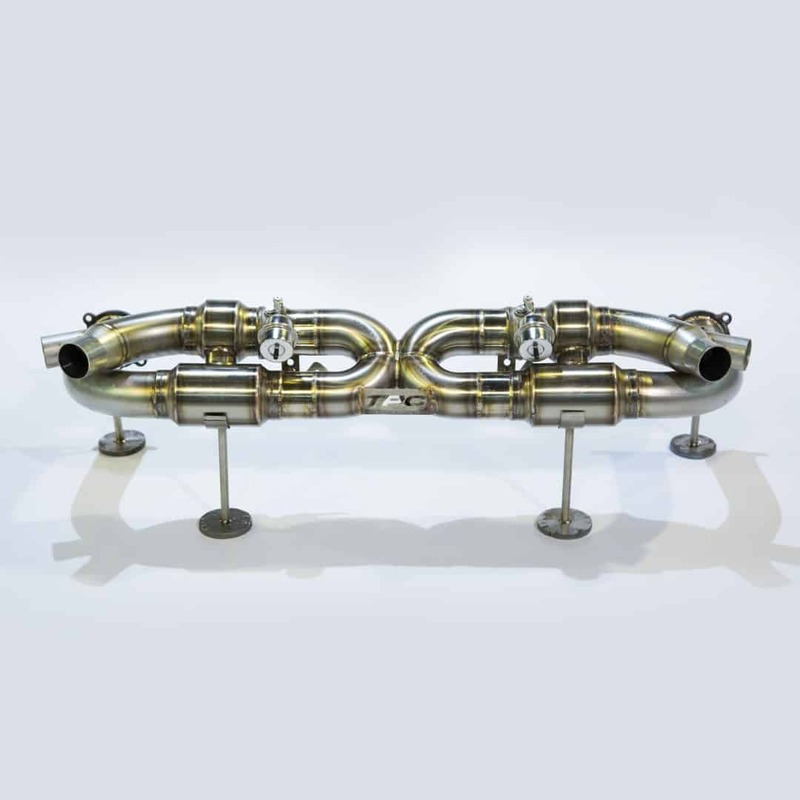 Bullet performance’s 991 exhaust system offers an extremely high flowing design in comparison by removing the primary and secondary catalytic converters, while optimizing flow in all other areas, retaining a true 3 inch design throughout, unlike many of our competitors who use 2.5 or 2.75 inch tubing. The real secret of this system is our signature crossover “xpipe” with its incorporated swirling vortex chamber. It works so efficiently and sounds so good we were surprised ourselves during our prototyping stages! Power is completely maximized, and many of our customers argue it is hands down, the best sounding system available for this car. Our competitors simply do not think about flow the way we do; they often have very short and rough transitions, as well as lips and rough edges completely destroying any chance of high flow. With our exhaust all hangers and 02 sensors go to their factory locations, so you can guarantee this piece will fit like a stock replacement. With this system you will truly be able to feel the power gains. Turbo response is greatly improved as well as driveability, but you will be most impressed by the sound; you can really hear the amazing exotic sound of the engine, the same sound that Porsche should have offered in the first place.